Insurance companies work in mysterious ways these days, so I'm not saying that they won't total it. But, from personal experience, this car really has very little damage and can be as good as new again. Looks like it needs a taillight, bumper cover, some door and quarter repair, maybe a wheel, and of course a few suspension parts. I'd bet there's no structural damage and the dcc shock is just fine. This is an R I just used for a swap and all I replaced on the rear suspension was the lower control arm and an upper link. I just got an alignment done last week and it's straight as an arrow. The dcc shock was fine, and except for it being curled up right at the point of impact, the rear pan wasn't bad either. OP, find the best body shop in your area and it'll be fine. Either way, good luck and let us know what happens. the unibody on that donor R absorbed most of the impact, so I'm not surprised with the minimal suspension damage. My R was totaled after being hit in the same area (passenger side). The damage never looked bad and the initial estimate was only a few grand. Body shop started taking the car apart which uncovered more damage and my insurance totaled it. Seriously? Looks like this can be buffed out easily. Yeah, that really doesn't look bad. If that did some sort of suspension mount damage then there's something in there that's almost too rigid. A subframe with a designed-in weak point (like the weak point across the hood to make it fold predictably) should be able to protect the body mounting points. Perhaps everything is directly mounted with no subframe? I haven't looked underneath a MkVII, so I'm out of the loop. But I think that is part of the difference. OPs hit wheel is just bent inward, appears that it is probably just one of the links, maybe the bearing housing that is tweaked. This would be a few hundred bucks in parts and an alignment. That one there appears that the whole thing is punted inward. Possibly did some damage where the sub frame actually mounts up to the "frame". Looking back, it would have been nice to speak to one of the techs about the extent of the damage. I drove the car for a week after with no obvious difference in feel. OP, take a look at the certified VW collision repair shops in your area (if you haven’t already). Make sure your carrier puts pressure on the other person's carrier NOW (not wait until after they pay out for damages) to get them to admit liability as soon as possible. It will make the process much easier for you and your insurance carrier. If your insurance carrier has to pay outright for the damages, this could potentially affect YOUR insurance premiums/no loss credit/etc... Hopefully you have rental insurance for the meantime so you don't have to pay out of pocket for that. Last edited by t_white; 04-10-2019 at 04:24 PM. 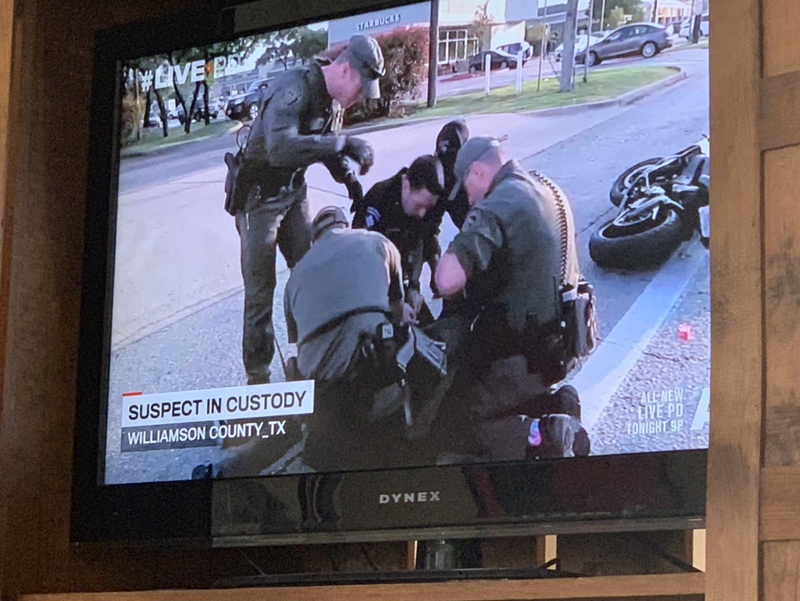 Is there any question of liability when the crash was filmed on Live PD? Well, my insurance company will probably have to pay outright for the damage. Apparently the motorcyclist couldn't provide a proof of insurance and what we got from the police was the insurance from the previous owner of the motorcycle. Last edited by dcsh; 04-12-2019 at 11:42 AM. Do you have uninsured motorist? Please say you have uninsured motorist coverage. I had to use that when the air duster lady hit me head on in my truck. Because of that coverage (It's super cheap) my stuff got paid for, and my rates didn't change because it wasn't my fault. wonder what kind of turning circle you could get with all wheel steering on a golf? 6 feet? Not yet. Shop just started tearing it down. I have UMBI but not UMPD. It's going to be a collision claim. Last edited by dcsh; 04-14-2019 at 03:31 AM. Well the wheelbase is 8.6', so I guess, 4.3' as a minimum? On a side note, I'm currently in Germany and googling 'Golf R Wheelbase' returned 2626mm. That's a nice number, I wonder if it was original 2629 or something and they shortened it for the alliteration. $58.20 for the entire year. I have no earthly idea why you wouldn't carry the coverage, it's dirt cheap, and protects you from idiots without insurance or terrible coverage. For those who look at the cost monthly, I pay a total of $7.33 per month. Well worth it to make sure your rates don't skyrocket from an accident that wasn't your fault to begin with. Last edited by Cabin Pics; 04-12-2019 at 03:22 PM. Because it sort of overlaps with collision coverage. And your rate can still go up when you use UM coverage. Anyway, let's not turn this into a discussion about insurance. 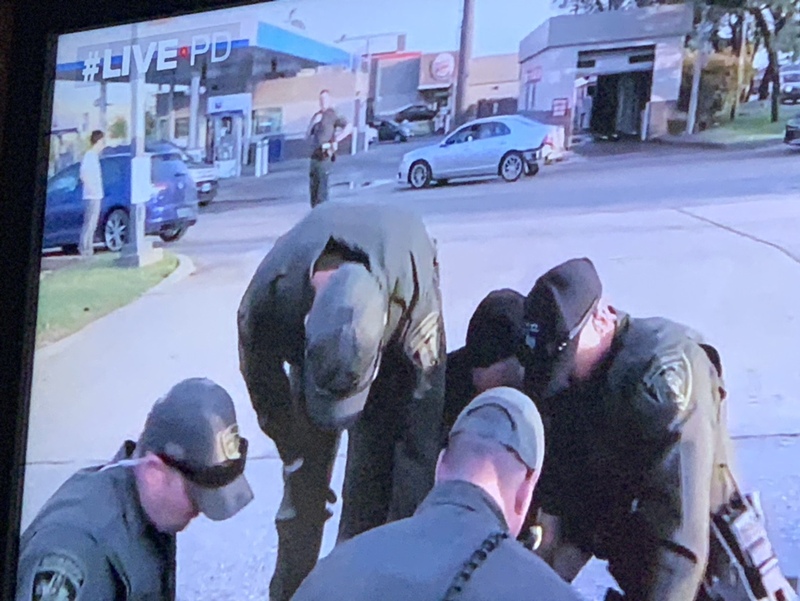 Ahahahah ashamed to say that I watch Live PD, but I totally saw this!!! That dude’s ankle was f***ed!!!! Ahahahaha!!! 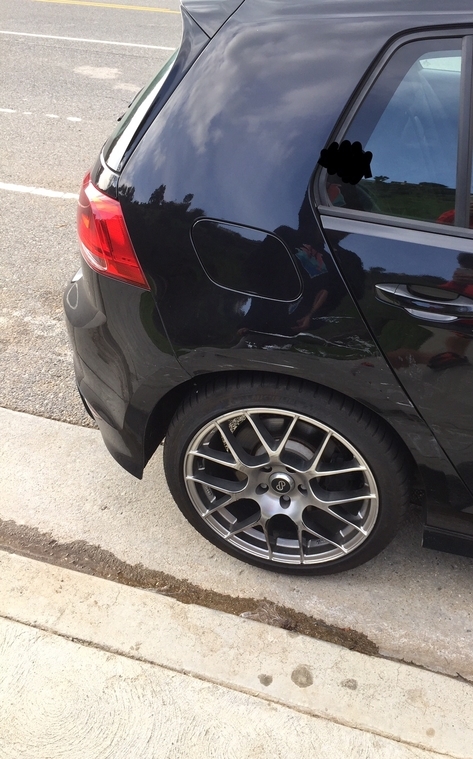 I just saw it now, and the second I saw it was a Golf R and saw the damage I remembered this thread. Kinda funny, kinda not..
DirectTV app not so good at rewind, but there’s the Golf. Ugh. Last edited by MylesPH1; 04-12-2019 at 05:14 PM. Well kids, it's Friday night, and if you haven't seen Live PD yet, I suggest you check it out. It's quality entertainment. It's chock-full of nimrods getting pulled over for minor stuff - license plate light out, 40 in a 25 zone, expired tags, etc - that then escalates rapidly as the driver turns out to have a suspended license, no license, felony warrants in 3 states, an open malt liquor tall boy between his knees, massive bales of weed in the trunk, loaded Mac-10 under the driver's seat, etc etc etc - all or some combination of the above. Domestic disputes, haploids shoplifting at the local convenience store, etc. The best part is how most of them try to blow smoke up the cops' asses when questioned. The few that tell the truth are almost always given a break, but few seem to understand that the cops have heard it all, and being honest up front will earn respect and some slack later on. Excellent, your indoctrination is complete.